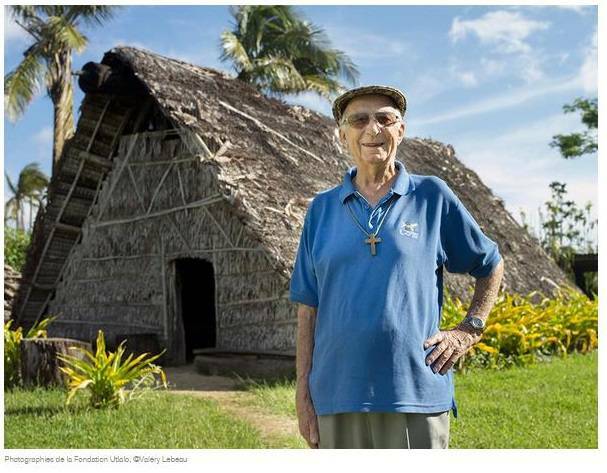 Jean Rodet is a french Marist Father who arrived in Vanuatu in 1961. He went to work to the North, on Santo island, where he stayed for 9 years. Working for the Procure, he spent most of his time on the wharf looking at the ship carrying traditional artifact from Vanuatu to others continents. Then, he started to collect artifacts to keep it in Vanuatu. After Santo, he went to Malakula island and continued gathering artifacts, his collection became bigger and bigger. In 1990, he moved to Port-Vila with his collection and stored it in containers where it stayed for 10 years. He always wanted to create a cultural center in order to display his collections for the public. An important collection for the Vanuatu, composed by traditional and some unusual contemporary objects, daily lives' objects from the 19th and 20th century. In 2002, he finally displayed his collection in a building dedicated to it. He displayed the collection himself and chose the artifact explanations. Since 2013, it's called the Utlalo Foundation, created under Unelco.